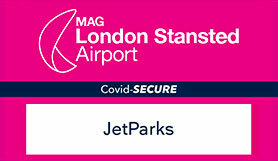 JetParks is the perfect pre-booked park and ride option for Stansted Airport passengers who prize value for money. Official Stansted airport car parks operate this cheap and convenient option, so there’s no compromise on service delivery or security. It’s open 24 hours per day, is Park Mark accredited and features CCTV, foot patrols and tough perimeter fencing. Comfy shuttle buses run every 15 minutes from 0400 to 2200. They’ll transfer you to the terminal in just 12 minutes. It’s easy to find from major road routes and all employees are friendly and professional. JetParks provides some of the most economical Stansted airport parking options. Book today and they’ll help you prep for take-off. JetParks does not have any allocated disabled spaces. However, there are 271 disabled spaces available to Blue Badge holders in the Long Stay car park. Disabled spaces are DDA compliant with CCTV and 2 help-points, and are in zone Q of the car park. When exiting the car park, you will need to take the 'Cash Only' lane and present your booking reference and Blue Badge. Please allow 35 minutes on top of your check-in time to arrive at the car park and make the transfer to the terminal. Customers arriving outside of these hours coming from the Terminal Building to Jetparks need to catch a long stay coach from the terminal forecourt and advise the driver that they are Jet Parks Customers on boarding the bus. All over height vehicles, oversize vehicles and vehicles with trailers must now use Zone Q. There is no extra charge. This car park operates an Automatic Number Plate Recognition System (ANPR) so the barrier should rise for you upon arrival. If the ANPR doesn't recognise your number plate, please press the call button for assistance and a member of staff will open the barrier. Please DO NOT take a ticket if the barrier doesn't raise. Once you have parked your vehicle, board a courtesy bus which will drop you in front of the terminal building. When you arrive back from your trip, follow in-terminal signs for 'Buses to Long Stay and JetParks car parks'. Courtesy buses are located at the Long Stay and JetParks parking bus stop in front of the terminal. Please tell the driver where you have parked (i.e. JetParks, Zone E, Bus stop 3). Leave the M11 at junction 8 if you are travelling southbound, and junction 8a if you are travelling northbound. At the motorway roundabout, follow the signs for Stansted airport. At the next roundabout go straight on for Round Coppice Road, following the signs for the Long Stay car park. Go straight on at the next roundabout. You will pass the Novotel (previously the Hilton) on your left. Continue past the entrance to Long Stay and follow Round Coppice Road until you see the turning for JetParks on the left.